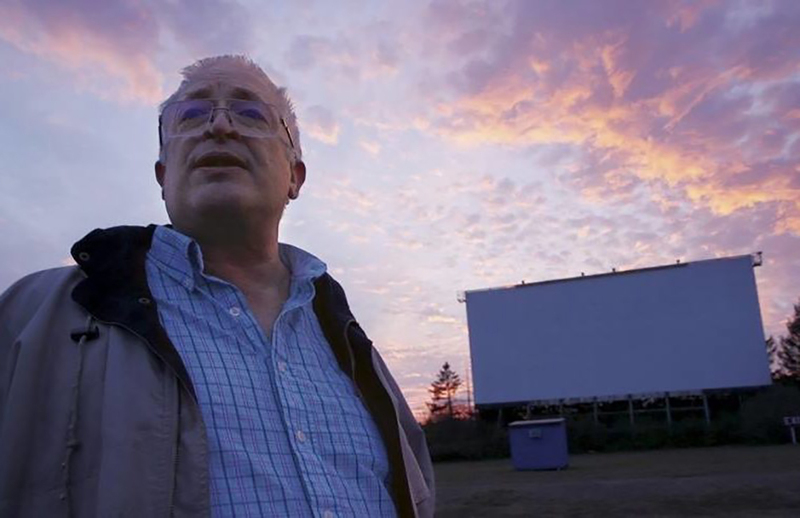 Filmmaker Alexander Monelli’s AT THE DRIVE-IN began as a documentary about drive-in movie theaters, his initial intention being a general focus on state of the industry. However, it soon turned into a documentary about The Mahoning Drive-In Theater in Lehighton, PA.
AT THE DRIVE-IN is not just a documentary about a theater — it’s a story about friendship, family, life and passion. 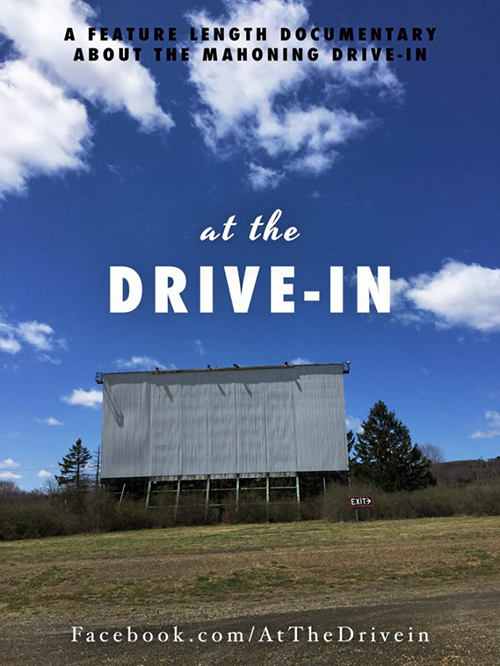 Located at the gateway to the Poconos about a half-hour drive off the Pennsylvania Turnpike, The Mahoning Drive-In Theater has been in operation since 1949. The theater ran first-run movies up until about 2014. However, around that time, movie studios began eliminating 35 mm presentations and offering their films exclusively in a digital format. With this change came the obligation for theaters to install digital projectors. The owner, Jeff, was in a quandary. Audience turnout was low, and acquiring a digital projector would be cost prohibitive. Enter film enthusiasts Matt and Virgil, who were able to convince Jeff to focus exclusively on retro movies that could be shown in all their 35 mm glory. Beyond the story of this theater, AT THE DRIVE-IN is the story of the blossoming friendship between Jeff, Matt and Virgil as they work to keep the theater operating amid very real financial concerns. While Jeff, Matt and Virgil are the key figures in this story, we also learn about other film aficionados who volunteer their time to work at the theater simply for their love of the theater — or in one woman’s case, love for Jeff. The movie also introduces us to some of the fans who frequent the theater. Some live close by, but one enthusiast comes all the way from Hartford, CT to watch movies and volunteer behind the counter. Additionally, Monelli introduces us to a vast array of personalities and characters who are bound by their love of movies and their love for The Mahoning Drive-In Theater. 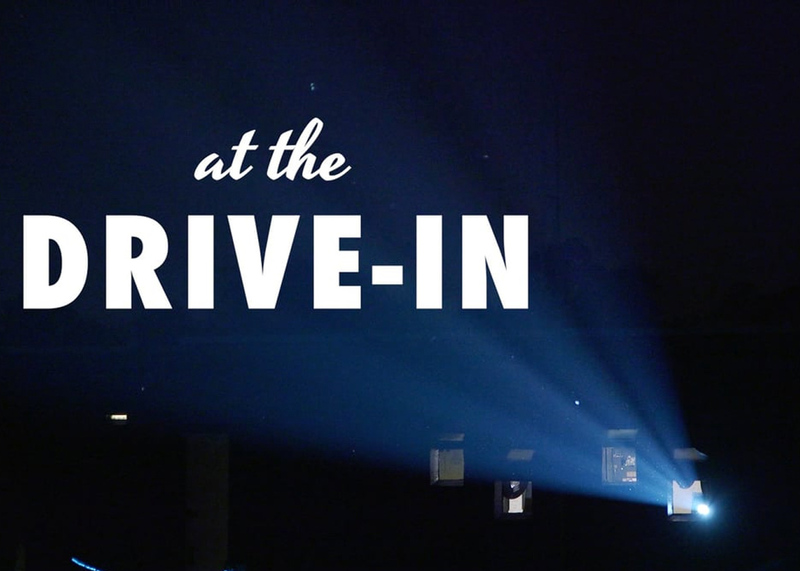 This documentary captures what makes a theater like The Mahoning Drive-In Theater special. While watching AT THE DRIVE-IN, I could get a true sense of the devotion all these people have for movies and particularly this theater. Mahoning is a real life “Cheers,” where everyone knows your name and a place where you want to get to know everyone who works there or is part of the audience. My hope is that this documentary is seen by as many movie fans as possible, and that it inspires trip to a local drive-in or to The Mahoning Drive-In Theater. AT THE DRIVE-IN has played a few festivals in 2017, and the next scheduled screening is at the Alamo Drafthouse in Yonkers, on November 28th. There are also plans to screen the documentary at The Mahoning Drive-In Theater in 2018. Stay tuned to the film’s Facebook page (link below) to keep up with the latest news and screening opportunities. *DISCLAIMER: Since 2015, I have been a frequent audience member at The Mahoning Drive-In Theater.